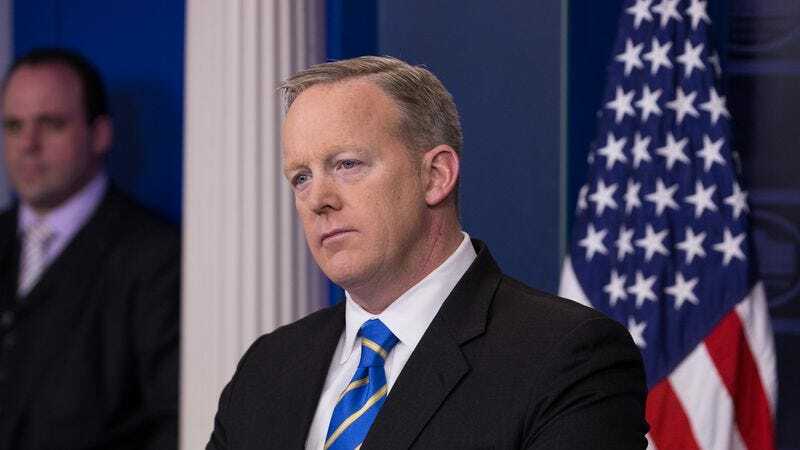 So, either Spicer didn’t read the tweet closely enough and thought it said “clearly articulated information,” he’s joining in on the fun by joking around that his job is about lying to the country, or he really believes that his job is to present the American public with “robust and clearly articulated misinformation.” In other words, that means he made a dumb mistake, that he has no respect for the people of America and would joke about lying, or that he actually doesn’t care about America at all and has openly admitted to lying. None of those are really “good” options, though, so it’s tough to say which of them is the least horrifying. Either way, it’s nice to see The Onion get a shoutout!